Shi-Hyun is a girl who has nothing but bad luck - at least, that's what everyone believes. In some ways, Shi-Hyun herself believes this and tries to stay away from the people she loves the most. As a result, she has developed an outer shell, making her look tough and indifferent even with the constantly bullying. But when she transfers to a different high school, a fresh start brings unfamiliar characters - and new challenges - into her life. I semi-enjoyed this series. I bought it on a whim because of the cover art and the synopsis on the back. However, the artwork ended up pretty different within the manga. The characters looked much better on the covers than the actual artwork on the inside and the chibi's had awkwardly largely drawn heads. I found the artwork to annoy me sometimes but most of the art was pretty good. I began reading it and I though it was pretty good, but all in all it was pretty boring. I understand what the author wanted to get across but it was done in such a anti-climatic way that it brought the whole manga down. The story line is pretty good, but there was no real suspense that made me want to keep reading. I simply read to finish the series. The story line would have came out better if there was more development to it. 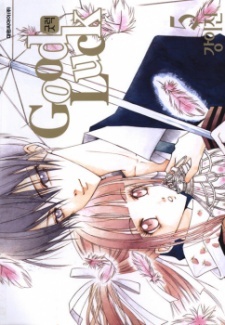 Overall I think this manga is quite low in enjoyment and didn't entertain me much. I really wasn't in a rush to finish the series and wasn't the page turner i expected it to be. At the time of writing I have read 2 volumes. This manga is in its very early stages with volume 2 just released and at least 5 volumes in the works. So far though there doesn't seem to be much of a plot. It's more like a look into Shi-Hyun's life, which is quite interesting in itself. I like the way the characters are interconnected and the way they are with each other. Shi-Hyun's character in particular is well thought out and I'm looking forward to finding out more about her. The let down for me is that there is nothing to catch you. Nothing in the first volume made me want to rush out and buy the second (I needed a third manga for a deal and there was nothing else), and even after reading the second I'm not compelled to buy the third. Overall I have to say this manga has nice characters, a fairly interesting story and lovely covers but it's a take it or leave it manga. Nothing makes it stand out to me.